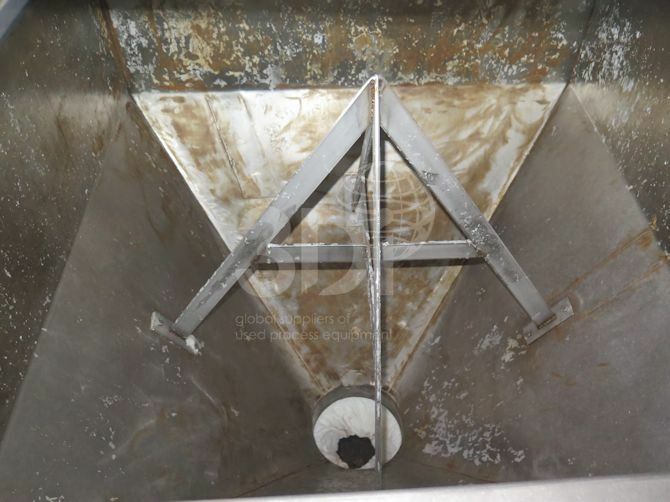 Used 1,000 litre Stainless Steel Storage Hopper. Orientation: vertical, square, coned bottom. 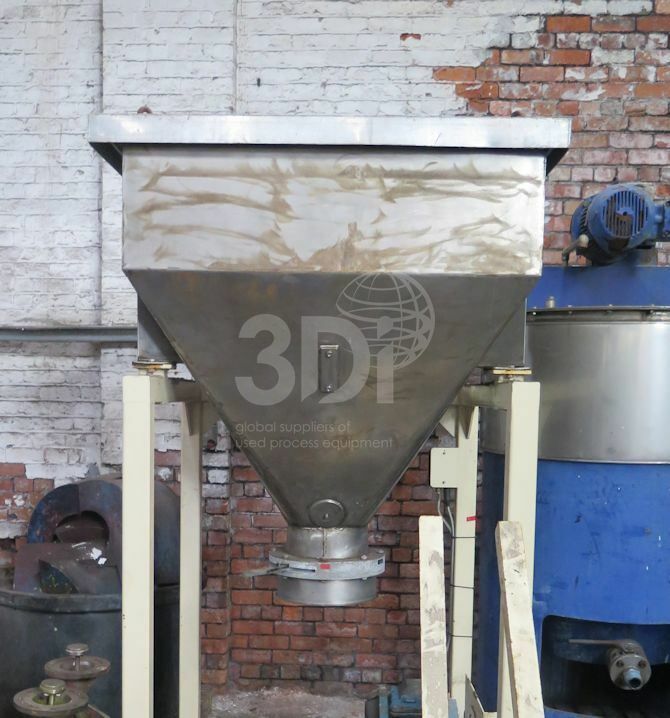 Dimensions: 1200mm x 1200mm x 400mm straight, 800mm coned bottom. Internally fitted with a big bag splitter. Flat removable lid top and 300mm Mucon bottom valve.